SUMMER DATES ARE FILLING UP! Don't delay! We assess ages 7 and up. Assessments help define IEP's. Transition years are a good time to update assessments. A thorough assessment takes time! Post secondary schools require an assessment to provide accommodations. Investing in the assessment, is an investment into their future. 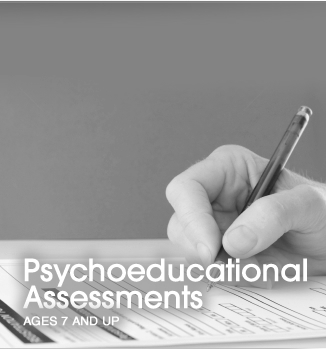 A thorough and extensive psychoeducational assessment (also called a psych-ed, a psycho-ed, an Educational Assessment or even a Learning Disabilities assessment) is important to your child's education. We offer a variety of assessment strategies and a detailed written report to explain the support your child may need in their educational setting. You will meet with Dr. McCabe initially and then with a team of psychometrists available to complete the tests, the assessment will be completed thoroughly over a few appointments. Dr. McCabe will provide feedback to you regarding the outcome, and will also go to a school meeting (Waterloo Region school boards) to meet with the teaching team and parents to develop a thorough understanding and implications of the results.It is important to have an updated (adult) assessment for students needing accommodations at post-secondary school. Related to the psychoeducational assessment is assessment for Attention Deficit/Hyperactivity Disorder (ADHD or ADD as it is sometimes called). 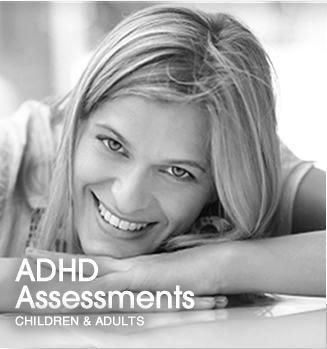 Assessment for ADHD is done in conjunction with a psycho-ed, but can also be completed separately. We have extensive assessment experience with children and adults. Counselling is also offered at our office on Wednesdays and Thursdays. 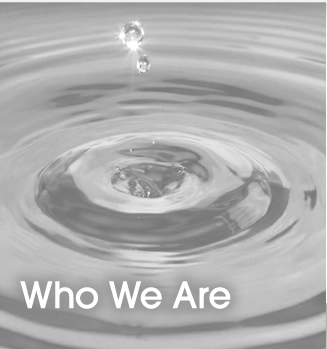 We are committed to providing you with excellent psychological care. Short term or long term we can help you reach your potential. Often your family doctor may suggest a psychologist but a referral isn't necessary. Although not OHIP covered, many benefit plans recognize the importance of good mental health and provide coverage for psychological services. Call our office today, 519-880-2178, and let us help you. CogMed - A 5 - 8 week working memory training program that is evidence based to improve memory. Done in the comfort of your home you will receive the full support of our trained staff in order to maximize your learning.